Written by band members Iain Andrew Cook, Martin Clifford Doherty and Mayberry, “Make Them Gold” is an empowerment anthem that reinforces the notion that nobody is perfect and mistakes are actually a blessing in disguise. They’re an essential part of the process of building skills, confidence and attaining one’s goals. “Make Them Gold” appeared as the fourth track of the group’s second studio album, Every Open Eye. Released in 2015, the album went to #1 on both the U.S. Billboard Top Alternative Albums and U.S. Billboard Top Rock Albums charts. It was also an international success, charting in 16 countries, including Scotland, Sweden, Australia and the UK. The odd spelling of Chvrches is attributed to a general concern about how the band may — or may not be — found on the internet. 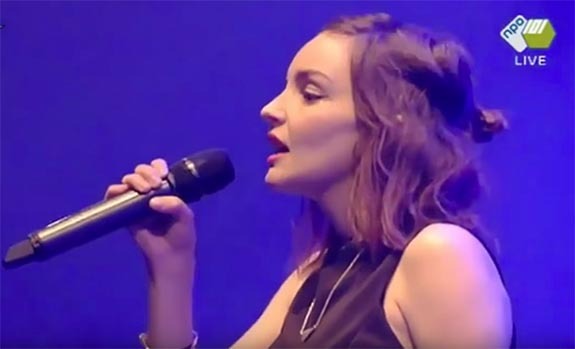 When the band was formed in 2011, the three members had chosen Churches as the name, but changed it to Chvrches with a Roman letter “v” instant of a “u” because they didn’t think they’d have a chance to come up at the top of a “churches” search result.